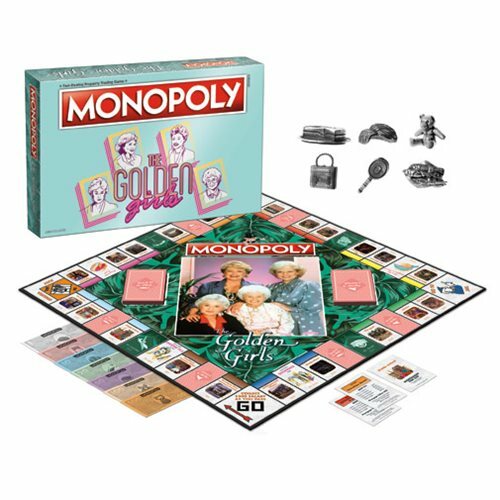 The Golden Girls Monopoly Game offers fans of the Emmy Award-winning show a unique game play experience as they buy, sell, and trade iconic locations from the show while enjoying one of America's all-time favorite board games. Choose from 6 collectible game tokens inspired by the Golden Girls television series. For 2 to 6 players. Ages 8 and up.